Wilbur Murphy sought romance, excitement, and an impossible Horseman of Space. With polite smiles, the planet frustrated him at every turn - until he found them all the hard way! A classic science fiction story originally published in the "If Worlds of Science Fiction" in July, 1953. Includes a detailed "About the Author" and a selected bibliography. dances?” asked Murphy. “No fire-walkers, snake-charmers—voodoo?” The Sultan smiled patronizingly. “We came out here to Cirgamesç to escape the ancient superstitions. Our lives are calm, orderly. 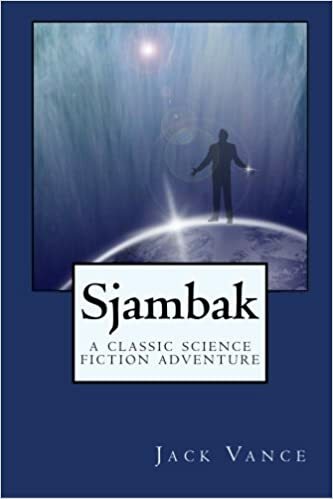 Even the amoks have practically disappeared.” “But the sjambaks—” “Negligible.” “Well,” said Murphy, “I’d like to visit some of these ancient cities.” “I advise against it,” declared the Sultan. “They are shards, weathered stone. There are no inscriptions, no art. There is no stimulation in dead stone.